Hi, we are the Webb family. There are 6 of us: Aaron (daddy), Brandi (mommy), Lucas (big brother #1, 9 years old), Logan (big brother #2, 7years old), Levi (big brother #3, 20 months old)...and then there is Lillian (pictured above). We would like to introduce you to our princess, Lillian Rose. 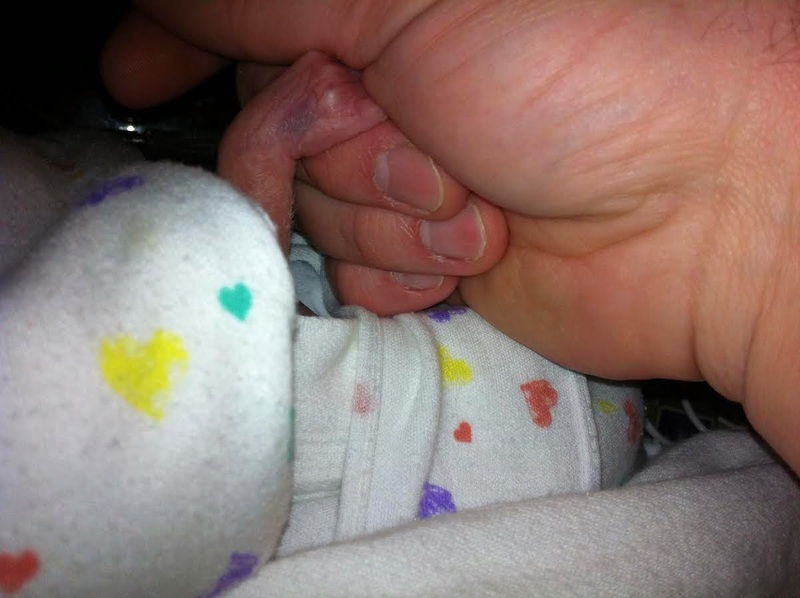 Lillian is a micro preemie that was born way too soon at 24 weeks and 4 days weighing 1 pound 1 ounce and 12 inches long. 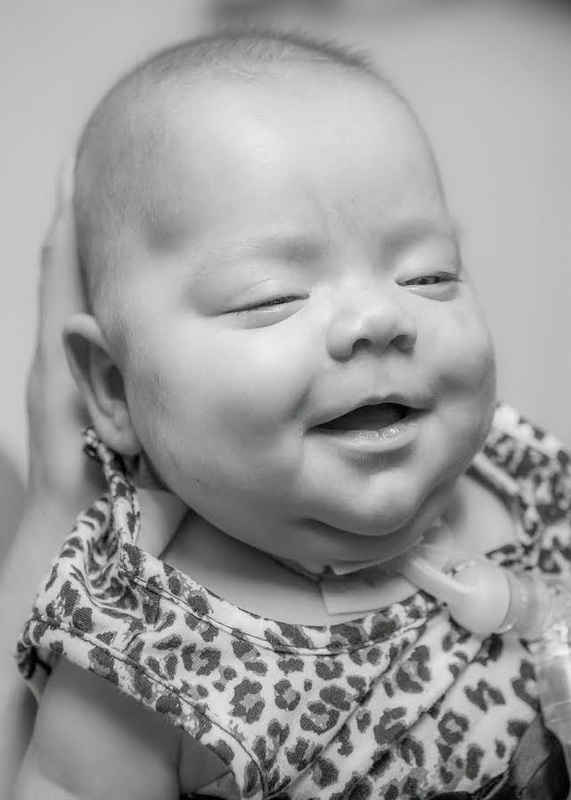 Lillian required life support from birth as she was unable to breath on her own. She was on low oxygen and was on her way to coming off of the ventilator at 3 weeks old when she came down with pneumonia. Her little lungs took a hard hit and required high pressures and 100% oxygen which caused more damage to her already so very fragile sick lungs. Lillian's x-rays never improved from the pneumonia, and it was determined that she developed Chronic Lung Disease from the combination of the ventilator and the pneumonia. She became so sick that the doctors were worried she would not be able to recover from the lung damage. She had gotten to a point that the doctors were not able to keep her stable. As a last resort Lillian was placed in a medically induced coma to try and stabilize her oxygen levels and keep her comfortable. When she was 1 month and 1 day old our home caught fire. Thank the good Lord no one was home so everyone was safe. While we lost everything to smoke damage the house itself was able to be taken down to the frame and repaired. We were placed in a hotel for a few weeks by our insurance company and then in a rental home until our home could be fixed. Lillian had a rough few months where she was critically stable one minute and not at all stable the next. Finally, in March Lillian started showing improvements in her oxygen levels, and her pressure was able to be weaned little by little. 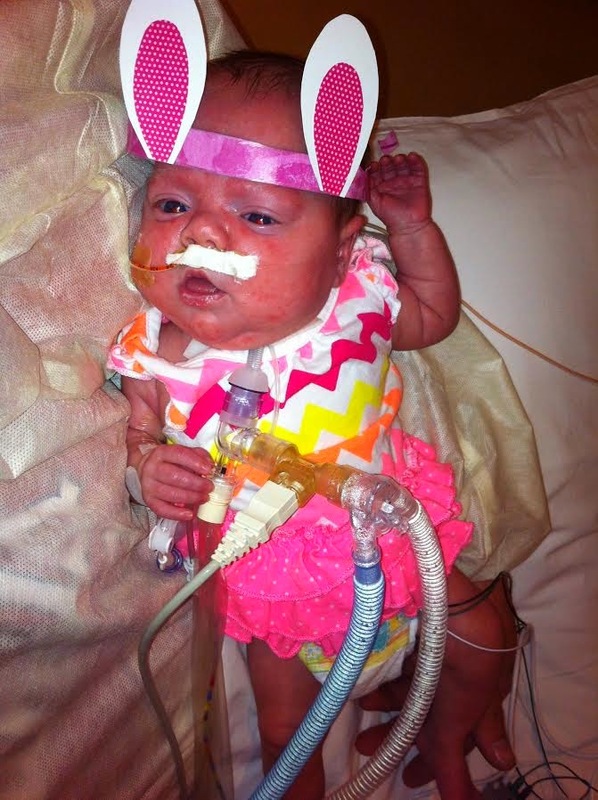 She became feistier and kept removing her breathing tube. Her primary doctor informed us that she would need a more stable airway since she was still requiring the life support machine to breath for her. 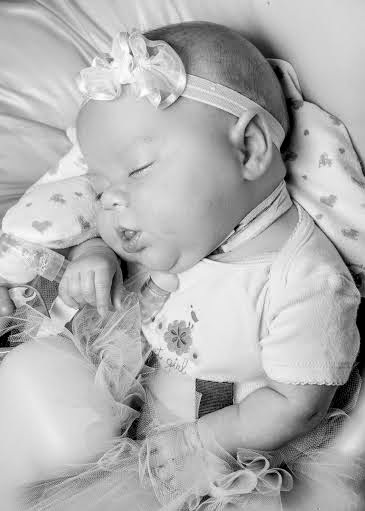 On April 9th Lillian received her Tracheotomy. At first Lillian started to improve quickly and seemed much more comfortable without the hard plastic tube in her throat. A few days after surgery Lillian got pneumonia again. She had some rare bacteria's growing in her lungs and infectious disease, so she was placed in isolation which meant no human contact. Gloves, gowns and masks were required to enter her room. Lillian felt nothing but rubber gloves on her skin for 6 weeks. Her lungs took another hard hit and more damage from the pneumonia and they required higher pressures and oxygen. After 2 rounds of antibiotics Lillian started to improve from her second battle with pneumonia. Slowly weaning pressures and oxygen she began to wake up more and be more active. Within two weeks Lillian had her 3rd battle with pneumonia, and this time it appeared she was becoming stronger as she did not take such a hard hit. She was only on 100% oxygen for a day before they were able to start turning it down again. Around the middle of May Lillian started to improve much faster than we and even the doctor expected and talk of her coming home on a home breathing machine began. She was put on a home ventilator on settings of c-pap with pressure support, and she was doing great on it, which means she was doing all the breathing on her own the machine was just supplying pressure to open her lungs for her. Her oxygen was at the lowest it had been since before her first battle with pneumonia. All the paper work for her in home 24 hour nursing was started, and we were learning more about how to care for her trach. On May 26th Lillian started to require higher oxygen levels and by the end of the evening she was back on the hospital vent with extremely high pressures and 100% oxygen. Our little angel was once again unable to be stabilized. She was put on antibiotics and had tests and x-rays. She was battling with this dang pneumonia again! After the culture finished growing her antibiotics were changed to ones that would help to kill the specific bacteria that was growing inside her lungs. The new antibiotics did not seem to cause any signs of improvement after half the course (1 week) so more tests were ordered. She began to have a fever and running nose. This landed our little lady back on isolation. Nasal swabs were done and pointed to the rhino virus on top of her 4th battle with pneumonia. Rhino virus to a healthy person would just be a common cold but to our princess this really took a toll. Lillian had a rough few weeks and was on 100% oxygen for the longest she has ever been. 23 days this time. This is big deal because oxygen is a drug and it can cause damage to the eyes and brain. Lillian is currently dealing with her 5th battle of pneumonia and really struggling with nippling. Her feedings have mostly been through a feeding tube that was inserted in her nose. She was finally cleared of the rhino virus on June 27th and was removed from isolation. She is having tests done to see if she will be able to get a G-tube and have the tube removed from her nose. Lillian is currently (at the time of this writing) 6 months and 12 days old. She now weighs 12lbs 8oz. 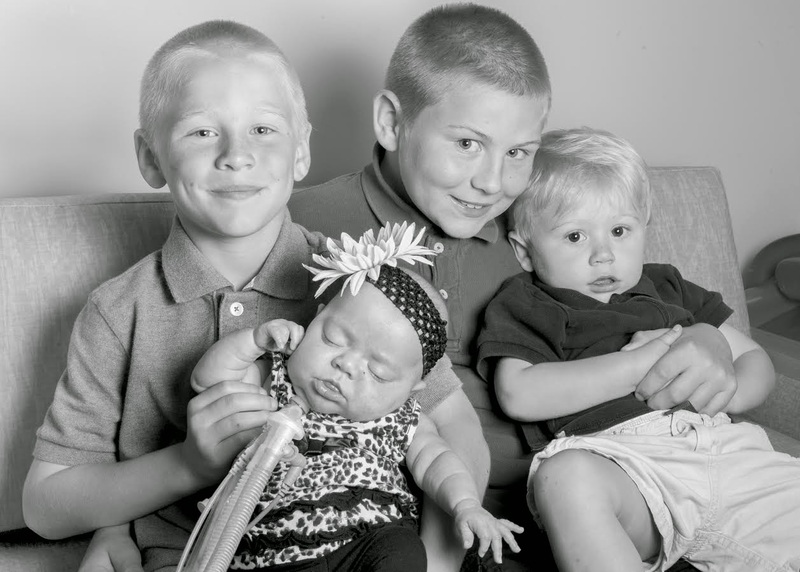 50% of the profit from all Fight the Fight purchases made between October 19th, 2014 and November 8th, 2014 will be donated to Lillian's family to help cover her medical expenses.